When it comes to heart function, anything that deviates from normal behavior is cause for concern, especially for those at risk of heart disease. One of the most common “abnormal” behaviors is the heart murmur. A heart murmur is a sound often characterized as a “whooshing” or rushing of fluid that can be heard between heartbeats. However, as frightening as this may seem, a heart murmur is not always a bad thing and in many cases is completely normal. What Does a Heart Murmur Mean? Identified by the unique sound, a heart murmur is described by Doctor Anna Catino, Associate Professor of Internal Medicine at the University of Utah Medical School, as “essentially something that we hear on clinical exam, with our stethoscope, and all that it indicates is turbulence of blood flow.” This may mean that blood flow is either too high, is going the wrong direction, or is going through a narrowing, all of which can mean entirely different things. Anyone at any age can experience a heart murmur, but they are very common in both children and in pregnant woman, for perfectly normal reasons. In children, a heart murmur can often simply mean that the child has a strong, healthy heart that is moving blood around with great force in a small body. For pregnant women, a heart murmur is usually a symptom of having a higher volume of blood flow during the pregnancy, something that is completely normal. When Is a Heart Murmur Bad? 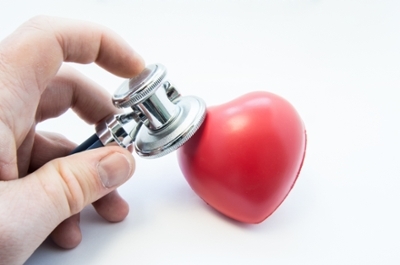 In some cases, a heart murmur may be a sign of heart disease unrelated to valve issues, such as a hole in the heart or abnormal thickening of the heart muscle. How Are Bad Heart Murmurs Diagnosed? To diagnose the underlying pathology behind a heart murmur, your health care provider can start by simply listening to your heart. A doctor with a skilled ear resulting from training and experience can identify different types of heart murmurs by sound alone. The next step is to use an echocardiogram. This is a non-invasive, pain-free method that is basically taking an ultrasound of the heart that allows doctors to examine the underlying structure. How Are Heart Murmurs Fixed? If the heart murmur reveals something wrong with a valve, it may require treatment but often it is just observed and monitored over time. If a murmur is caused by a valve problem or another structural abnormality, it can be repaired in several ways, but the most common is surgery, such as valve replacement. There are also non-surgical options like a trans-catheter aortic valve replacement. When the murmur is related to heart disease, medications may be needed such as those that lower blood pressure and heart rate, manage fluid retention (diuretics), or function as blood thinners (anticoagulants).